Robert Ryland is the pen name of Robert Jacoby. He is a native of Indiana, has lived in France and Southern California, and now makes his home with his wife in western North Carolina. 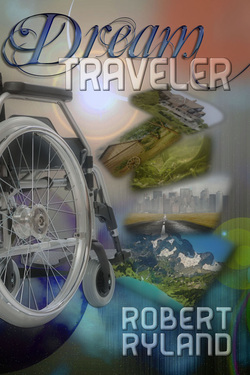 Robert has written short stories, screenplays and plays, and now concentrates on novels. 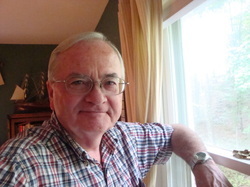 A member of several writing groups, he works with new and published writers in different parts of North Carolina. When not at the keyboard, he likes to read, explore the trails near his home, have good conversation, a strong cup of coffee, and the occasional glass of wine. Seventeen year old Jeff Hayden is confined to a wheelchair as a result of a back injury he sustained in a car accident that killed his mother. His father James Hayden, a successful biochemist and researcher, has been missing since before the accident. Now parentless, Jeff lives with his Uncle Hank, a former Navy SEAL, who is suspiciously guarded about what he knows regarding Jeff’s missing father. This trait causes friction, and Jeff yearns for the day he can be independent and away from his uncle’s aloofness. Everything changes, however, when Jeff starts “dreaming” he is with his dad, with episodes so real he believes they must be more than dreams. His Uncle Hank is reluctant to talk about it, and suggests the dreams are simply Jeff’s way of mourning the loss of his parents. Then one day, prompted by a physical assault on his friends, the boy finds himself using unknown mental powers to “leave” his body and travel to their defense. This unexpected ability makes him realize he has a special gift - that maybe the dreams of his father were not dreams. Confronted with this discovery, Jeff forces his uncle to open up and reveal secrets he has kept hidden about his mother, and about his father‘s classified research. These revelations answer a lot of questions for Jeff. But they also lead to more questions when he learns that his “dreams” are really trips into a compelling and dangerous world called The Realm, a psychic energy network used by other travelers like himself. It is a place of abstraction and mystery, confusing, full of challenge, and frequently surprising. Once discovered, The Realm alters life inexorably for Jeff. But he realizes he cannot turn back. He can only move forward to look for answers to his past, and to seek whatever his future holds. 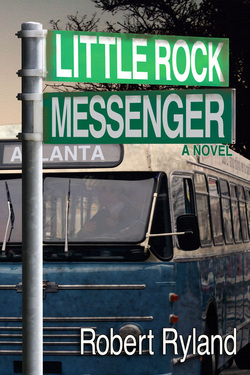 In the summer of 1956, a twelve year-old African-American boy named Lincoln South makes a Greyhound bus trip from Little Rock to Atlanta to visit his grandmother. During the journey, he befriends two fellow passengers: a big-talking black teenager named Jeff Twilley and an old Austrian émigré named Franz Jabing. Lincoln is not sure he likes or trusts Twilley, but Jabing is friendly and easygoing, and they soon become friends. However, Jabing has a secret. He is on a mission to return stolen items to a young woman whose family perished in the Holocaust. He is also being chased by a hired killer out to stop him at all costs. Lincoln eventually learns of this, and finds himself caught up in a dangerous game of hide and seek. With the unlikely help of the teenager Twilley, and his own unusual courage, the boy becomes the old Austrian's messenger and the only chance the young woman has to recover what is rightfully hers. Patricia Manning suspects that her brother's death by drowning is part of a conspiracy by his energy company employer to keep a fraud from being exposed. Investigating the case, an L.A. cop begins to confirm Manning's suspicions, and they join forces to gather evidence against the conspirators. 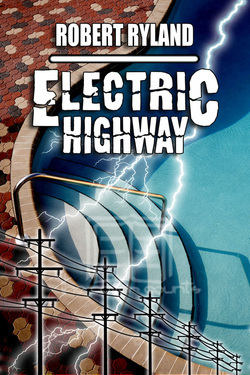 Soon they discover an involved plot to cheat electric utility customers out of billions of dollars. When other people start turning up dead, it casts suspicion on key company players, who begin acting recklessly in an attempt to hide their crime. Manning herself becomes a target, and the cop grows desperate to keep her safe. All of this is further complicated by Manning and the cop realizing they are attracted to each other.